While MoviePass was in early beta, it got more than a small amount of pushback from theaters that didn't like someone changing the price formula without their explicit say-so. The company just found an end-run around that conspicuous obstacle. It's releasing both an iPhone app and a reloadable card that, when combined, let MoviePass' effectively unlimited subscription model work at just about any US theater. The app unlocks the card for a specific showing; after that, it's only a matter of swiping the plastic at a payment kiosk like any old credit card. It's not as sophisticated as NFC or Pay With Square, to be sure, but it should keep the rude surprises to a minimum. Both the iOS app and the card require an invitation to the $30 monthly service if you're eager to get watching movies today. If either is too limiting, there's promises of both an Android app and wider availability in the future. NEW YORK - OCT. 2, 2012 - MoviePass, the nation's premier movie theater subscription service, announced the launch of its new proprietary payment card technology that aims to boost theater attendance nationwide. MoviePass provides film enthusiasts the ability to attend unlimited* movies for a monthly fee. The invite-only launch will be rolled out to current members as well as the nearly 75,000 individuals on MoviePass' waitlist. Current members are able to invite up to 10 friends to join the service, as part of the invite-only launch. Prospective members can also join the waiting list at MoviePass.com. "MoviePass gives moviegoers the opportunity to see the movies they want, at the theaters they want – perfect for film enthusiasts who are at the heart of Hollywood's economic engine," said Stacy Spikes, CEO and cofounder of MoviePass. "Moviegoers now have more at-home entertainment options than ever before, and MoviePass is dedicated to driving traffic back to theaters and reducing the friction of moviegoing." MoviePass is introducing an innovative geo-location based technology that acts like a debit card. 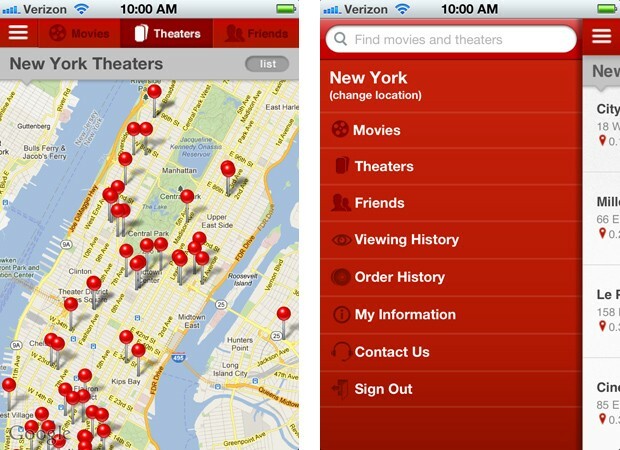 The card is activated with the MoviePass iPhone App, which released today; Android to follow. This technology allows members to securely use their subscription to go to any theater of their choice that accepts major credit cards. CHECK-IN AT THEATER: Members use their MoviePass app to check-in at a theater of their choice and select a movie and showtime, which unlocks their MoviePass reloadable debit card. PURCHASE TICKET: The member then retrieves their ticket for their desired movie by visiting the theater kiosk and using their MoviePass card, exactly how they would use their own credit card at the kiosk. "MoviePass recently completed nine-months of closed beta trials and saw members increase their movie theater attendance by as much as 64 percent and their concession sales by 123 percent," said Hamet Watt, cofounder of MoviePass. "This should come as very exciting news to our industry as we look for new ways to engage with moviegoers." Annual membership pricing varies based on location, with an average price of $29.99 a month. Smartphones are required for the new service. MoviePass is currently invitation only with general availability of the service to be announced in the near future.